There is a constant noise in our sound system and and is effected when we move our light Dimmers. We have narrowed it down to our house speakers, by during off the amp running to it. After we narrowed it down, we switched the lines that go to the house speakers, to another amp but it still made the noise. So we think it's the lines running to the speakers but we wanted to know if there is anyway other way to fix this problem without replacing the lines. Also we are getting noise from our media side mixer. We are getting a ground loop noise and we figured out it was from our Mac Pro but we can't figure out how to get rid of the noise. No one can help you without more information. Did the noise start recently (after it was quiet before) ? If so, what has changed ? How is the system wired (from microphones to mixer to processors to amplifiers to speakers, wire types, condition, etc) ? How is the audio system powered ? How is the lighting system powered ? Is audio system wiring run (physically) along with lighting system wiring ? Or; are they kept separate ? How is the Mac Pro interfaced into the audio system ? How is it powered ? There is a constant noise in our sound system and and is effected when we move our light Dimmers. We have narrowed it down to our house speakers, by during off the amp running to it. There is a typo so I just want to be sure. Are you saying that there is noise in the speakers with the Amp turned off? If so is there noise with the speaker wires disconnected at the amp? Re the Mac ground loop noise. I am going to do some guessing, and you can correct me if I am wrong. Are you coming out of the Mac with a audio cable that goes to a line in on your mixer? If so then you need to convert the stereo line out of the mac to a mono signal and run it through a transformer and into your mixer. There are a number of commercial products and adaptation of other products like DI boxes that will do this, but as Tom says we need more info. Do you need stereo at the mixer? Do you need to use line in to the mixer or can you use mic in? No it is NOT the lines running to the speakers. First thing to do is to disconnect any unbalanced inputs to the mixer, such as Cassette, CD Player, Computer. If you have any outboard gear EQ, Comps, etc hooked up with unbalanced cables, replace them with balanced interfaces. Does the noise go away? If so it is the unbalanced cable interface. If not, disconnect one mic line at a time to see if it is an individual channel or input. If it is isolated to one channel replace the cable. Still, there? Try tightening the screws on the XLR jack to get a better ground. The mixer may not have enough Common Mode Rejection to differentiate the wanted from the unwanted signal. Try another mixer. The cause is really the light dimmers. More than likely they are the cheap SCR type. These SCR dimmers actually turn the electrical wiring into broadcast antennae, in that they put the voltage and current out-of-phase and essentially couple with the electrical wiring. Usually the greatest buzz is right before they go out. Proper dimmer paks are the solution. On the Laptop, most are a problem due to the SMP or switch mode power supplies. Try using it on battery supply. for many years in clubs with dimmers. Do you have a cable tv line coming in to a piece of gear attached to your system? Cable tv line is something that can cause your entire system to hum from a ground loop just from that. So disconnect the cable tv line terminated into the system as well if this is so. 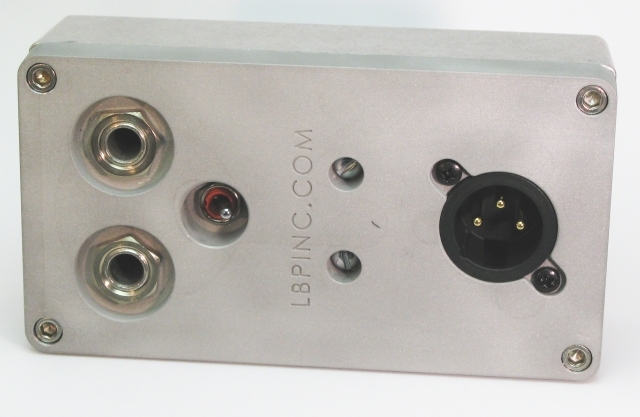 There are hum /ground loop eliminators for your audio system and cable tv lines coming in all over the internet. This is something you should really have someone with more knowledge then you do on this issue to come in and find this problem. Gads man we could sit on this forum all day and not nail this problem down. Seek outside help. Im trying to think back to clubs years ago that had this issue and we always found different circuit/s in the building then the one with the dimmer hum issue on it and the problem was eliminated.